Ever wished it was as easy to make international transfers as it is to make bank-to-bank payments here in Thailand? Well, that future has arrived. With the DeeMoney mobile application, you can send money from your phone anywhere, anytime. 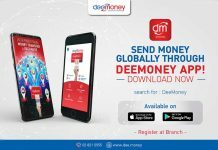 With DeeMoney, you can send a digital transfer in just 5 easy steps. 1- Register at a DeeMoney branch with just one form of valid identification (passport, ID, driving license, etc.). 2- Download the DeeMoney mobile application from the iTunes store or on Android. 3- Open the DeeMoney app, select a language, and log-in with your DeeMoney Membership number by QR code. 1) Connect the DeeMoney App with your local SCB, BBL or KBank account via ATM (for more details, click here). 2) Choose KPlus as your payment method, and use the KBank mobile app to complete the payment. 3) Generate a QR Code within the DeeMoney app, and then open it up in your local m-banking app to complete the payment. 5- Choose from over 17 countries and send the funds to your chosen recipient for just 150 THB. It really is that simple. DeeMoney believes in complete transparency. With the app, you can check out current transfer rates in real-time. The calculator shows you EXACTLY how much the receiving party will gain in their local currency. And unlike banks, there is no extra fee charged to the recipient for them to access the funds. The 150 THB flat-fee paid at DeeMoney is ALL INCLUSIVE, with no further surprise fees or deductions. There are no surprise exchange fluctuations or hidden charges. DeeMoney received its License for International Money Remittance Service as a Non-Bank Entity from the Bank of Thailand in 2017. 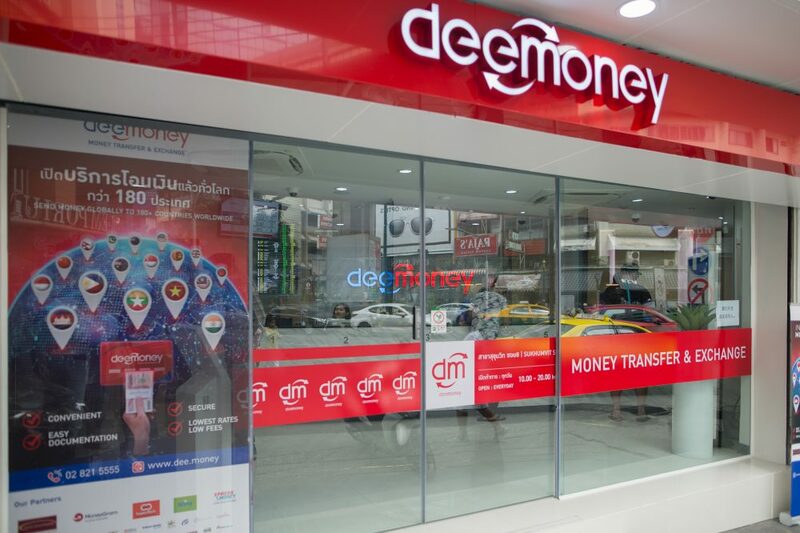 A company of firsts in Thailand, DeeMoney was the first company to achieve the International Money Remittance, Authorized Money Exchange License and E-Payment Service Licenses for the same premises. 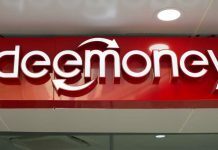 This means DeeMoney is in a unique position to offer money transfer and exchange services both digitally and at its signature outlets across Bangkok. No five-working days delay, no expensive exchange rates, and just one transparent fee of 150 THB every time. So, what are you waiting for? Join the 10,000+ customers who are already taking advantage of DeeMoney’s 150 THB flat fee—rather than paying out 1300 THB with your bank every time. Instead, let your money fly with the DeeMoney app.